Cash is the driving force behind all successful businesses. Whether big or small, no business can expect to survive without healthy cash flow management. 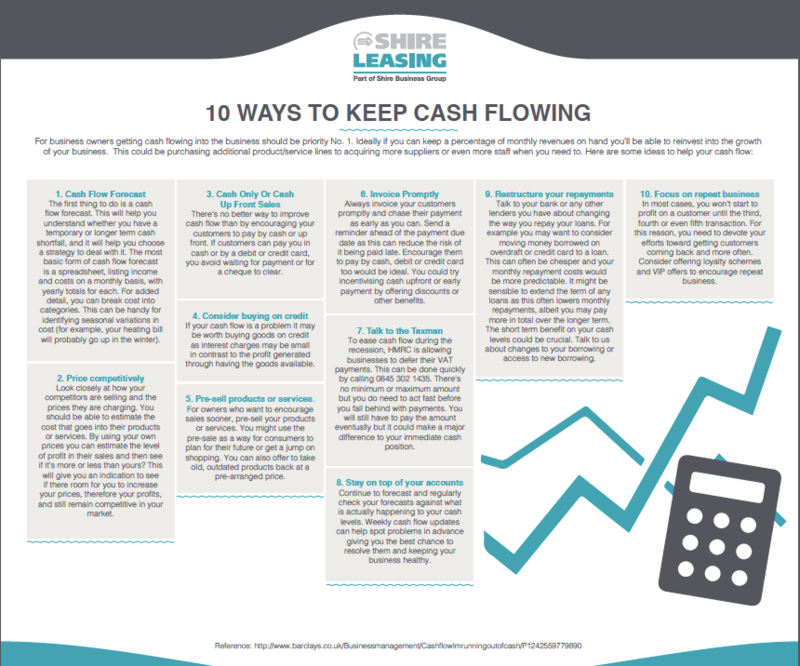 Fortunately, there are various things you can do in order to ensure a regular flow of cash, and weâ’ve created a guide detailing the best 10 ways to do so. Fill in the above form for your copy.